Content sharing websites should have unique information but they should also have a unique design and innovative. Encouraging users to share their content on the website will create huge content and you will benefit from it. 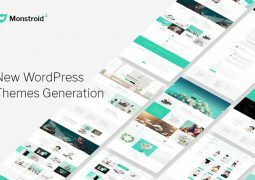 We’re here to share with you best content sharing wordpress themes something simialar to 9Gag, Upworthy or Boredpanda have features like video sharing, image sharing, GIFs and audio posts. 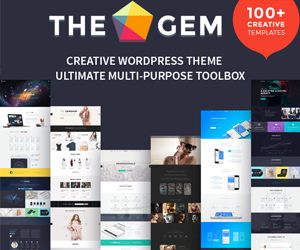 Here is 10 Best Content Sharing WordPress Themes 2017 with fully functional content sharing websites include front-end submission such as 9Gag, Upworthy or Boredpanda for your. If you looking a solution for viral content website allow your users to create, edit, view and delete posts, allow them to show and share the story with everyone, look no further than BoomBox! 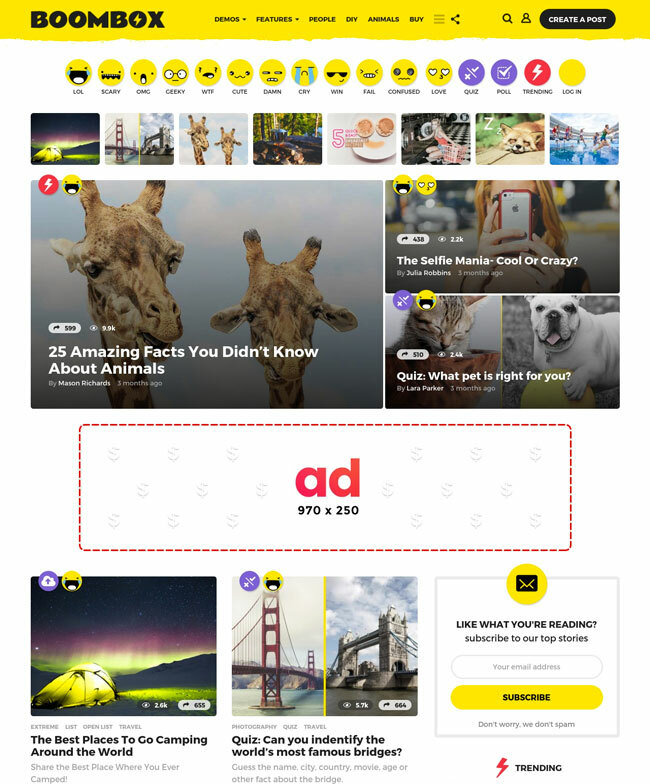 It is perfectly suited for viral magazine, populate news, listicles, polls or quizzes with powerful viral content builder function. It benefits from amazing features, and an impressive degree of flexibility. It is perfectly design, every element of the site can be personalized, as you create an immersive and timeless experience for your visitors. Both mobile and desktop platforms can display your content with ease, effectively eliminating any screen scaling issues. Expand the number of available followers via the Social Sharing capabilities, and asses their response using the popularity metrics with MashShare plugin intergrated. In addition this theme have full RTL support for languages such as Hebrew, Persian and Arabic. Contact Form 7, Retina Ready, Advanced GIF control, Upvotes and Downvotes for contents and MailChimp subscription newsletter integration out of the box, as well as complete mobile friendliness and utter responsiveness across the board, BoomBox is a perfect theme to let the world know the big day is coming. List Mag WP is a modern and stylish, aesthetically thought out and profoundly dynamic and interactive, sleek and attractive, technologically rich and diverse, polished and professional, versatile and superbly functional, easy to use and very reader-friendly, extremely responsive and mobile friendly WordPress viral magazine and blog theme. List Mag WP is a simple, fast and most importantly boost viral traffic with simple features that will help keep your visitors on your site, streamlined theme, conceived as an outlet for no frills, minimalist media, particularly news and magazine websites reporting on entertainment, politics, world news, music, or pretty much any trendy, interesting topic. With Front-end Submission function your users can submit articles on the website through a submit form, it will be moderated before publication. 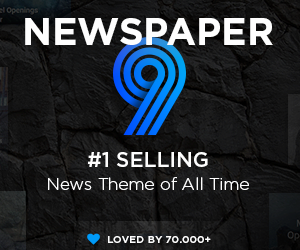 List Mag WP theme comes with unmatched flexibility. 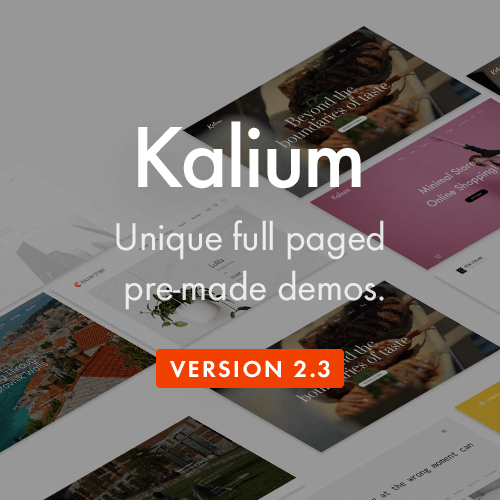 Elegant design, unique demos, integrated translations with .POT file included, 7 Custom Widgets, Sticky Sidebars, intelligent ads system, and no coding skills necessary, are some of its strong points. You can easy setup this theme with xml file included. A .xml file that will allow you to import the sample data to your site, what you see in my demo is what you get. List Mag WP 7 is Google AdSense ready and supports responsive and mobile friendly ads. It uses the best clean SEO practices, it’s fast and easy to use. Try this theme now! Jabberjaw is a handsome and tech-savvy, fresh-faced and aesthetically minimalist, cleverly designed and highly attractive, incredibly flexible and technologically inspired, highly responsive WordPress news, magazine and blog website theme with Front-end Content Submissions support. Jabberjaw is modern and immersive theme dedicated to the dissemination of knowledge, custom-crafted blog layouts as well as highly creative, original blog layouts and customization settings, all without having to write a single line of code yourself. Jabberjaw is jam-packed with resources and features, premium plugins and short-codes, demo layout templates all professionally graphically designed to be polished and seamless, media-savvy and smooth. Jabberjaw includes a Visual drag and drop Page builder for free, that makes short work of most layout customization tasks, while advanced theme settings give you access to powerful possibilities for turning your website inside out at your leisure. Easy Social Share Buttons plugin give your visitors an easy way to share your content with their followers. With the “one click demo” installer it was remarkably easy to start building our test website. 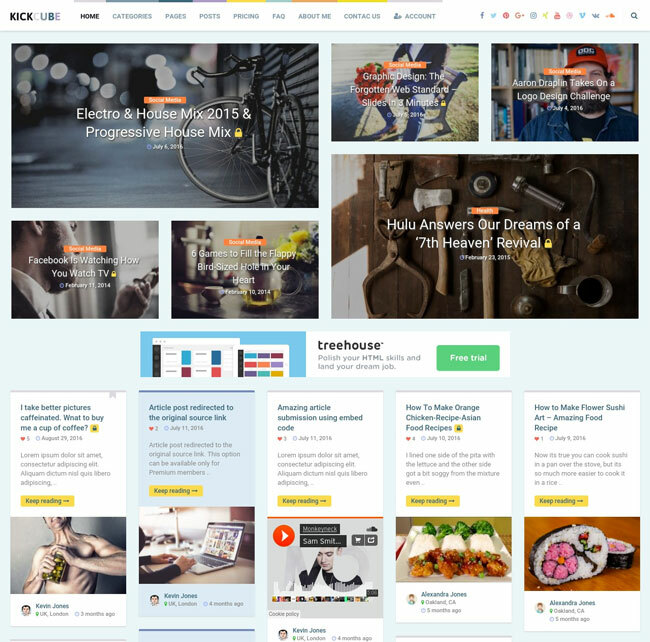 Kickcube is an serious and professional, extremely clean and crisp, pure and pristine, cleverly coded and very reliable and fast-loading, resourceful and extremely modern, superbly technologically articulate and outstandingly flexible and nimble, conceptually unique responsive WordPress content sharing theme. This theme will make your website look just as stunning on big screens as it will on tablets and smartphones! Kickcube allows you to boost your brand by giving you unlimited font and color options as well as options to upload your logo and icons to suit your branding requirements. Your users the ability to create posts from the front-end with everything content types from music, videos, photos etc… Kickcube also allows social login to make it easy for visitors to register on your site and quickly sign in using the social network or email identities they already have. It has a powerful admin panel that enables you to customize just anything in an appearance of your website. 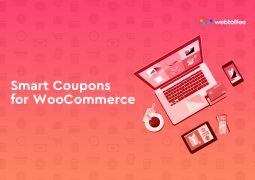 In addition This theme comes with Unlimited Subscription Packages help you can easily create free, trial, and premium subscriptions, accept credit cards with Stripe, Braintree, 2Checkout, or PayPal Website Payments Pro, translation ready and optimized for SEO. Try Kickcube now! 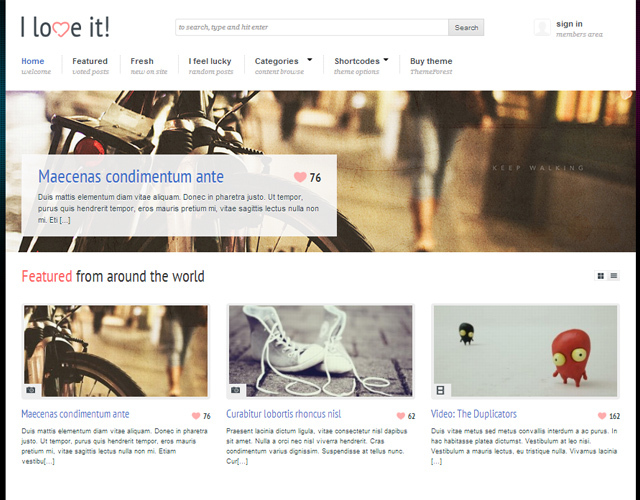 Katla is a user generated content theme for WordPress. It offers the ability for users to submit content to your website via a custom made form. All the submitted posts are inserted as pending posts so a moderator can review the submission and do any changes if necessary. This is very similar to websites like 9gag.com and boredpanda.com, now you can easily make your own! 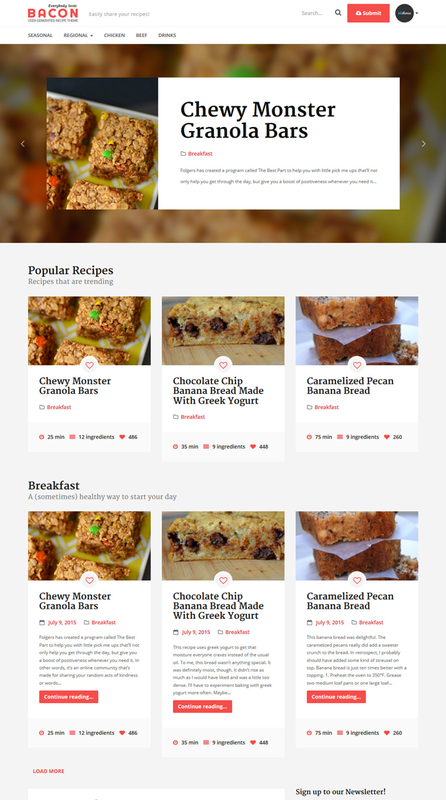 Bacon is the perfect food & recipe wordpress theme for you! It allows you to post recipes as well as open recipe submission up for your users. With a front page login box (that supports facebook, twitter & google+ logins) & a specialized submission page you’re good to go immediately after installing the theme. 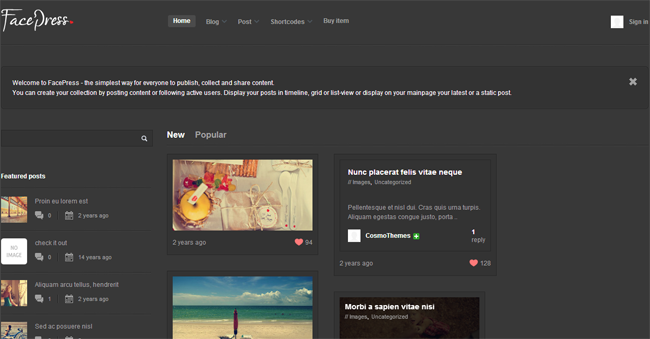 Foot is a Responsive WordPress Theme perfect for content sharing site. Foot created with love using the latest HTML5 and CSS3 techniques with a validity code, completely responsive to look perfectly in all mobile devices, easily usable with any device as well as PCs. Responsive design optimized for tablets and smartphones ! Uploader is a responsive content sharing WordPress theme with posts pre-caching and an intuitive yet powerful real time customizing options! 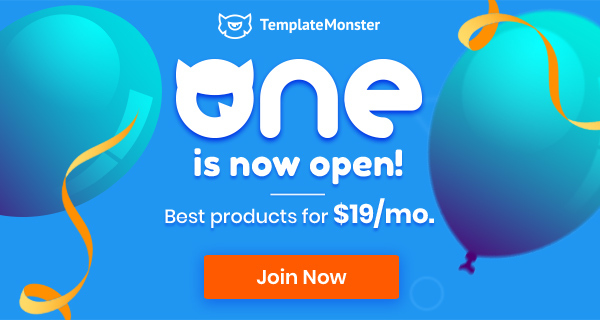 With single one template, you can have a site that can easily change from damnlol style to 9gag style to imgur style to vine style! FacePress represents a community-builder theme with multiple skins and layouts suitable for different needs: Community builder, Portfolios, Image gallery, Content-sharing with front-end uploading, Classic blog, Combination of all content types. Aruna – Content Sharing, Gag, Meme Theme is the theme that you were looking for when you told yourself “Man, I’d love my users to share content!”. We know you did! So it is here! HTML5 & CSS3 Based, Retina Ready & Fully Responsive – You might say it’s bulletproof! It’s built with powerful User Experience in mind – The Post Module is clear crisp and amazing. It takes 10 seconds to post, you can easily build slider posts and more! 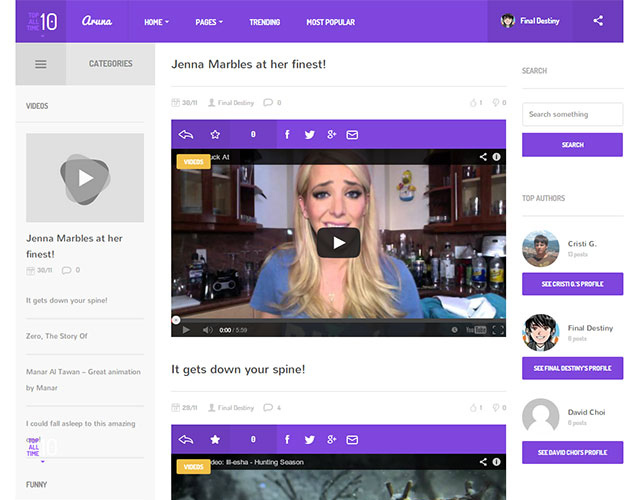 The functionality is a lot like the famous 9GAG, but it’s not a 9GAG clone. I love it! is a content sharing WordPress theme suitable for different posts formats: image posts, video posts with automated thumbnails creation, self-hosted videos, audio posts, posts with attachments, combination of all content types. 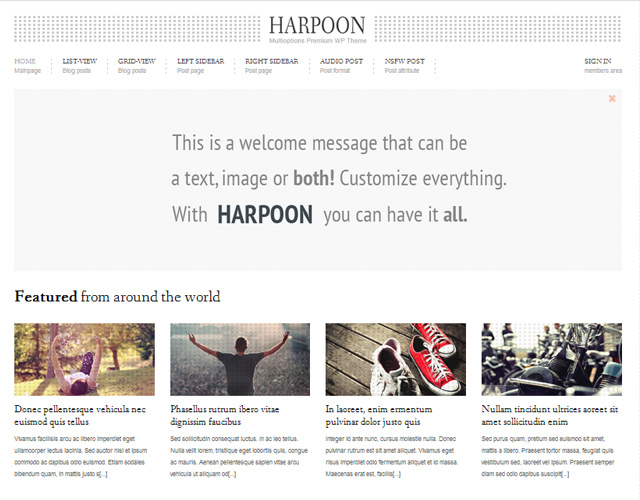 Harpoon is a responsive multi options WordPress theme build to power individual sites but also with multiple users and, why not, provide community content sharing. 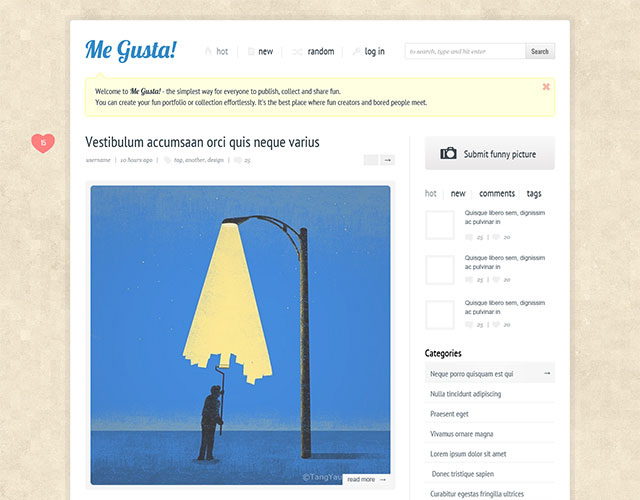 Awesome wordpress theme for Viral contents. 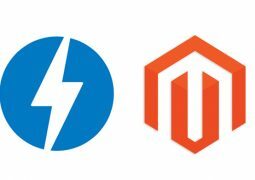 We has updated lastes trending for WordPress Themes for Content Sharing 2017 with front-end submission. 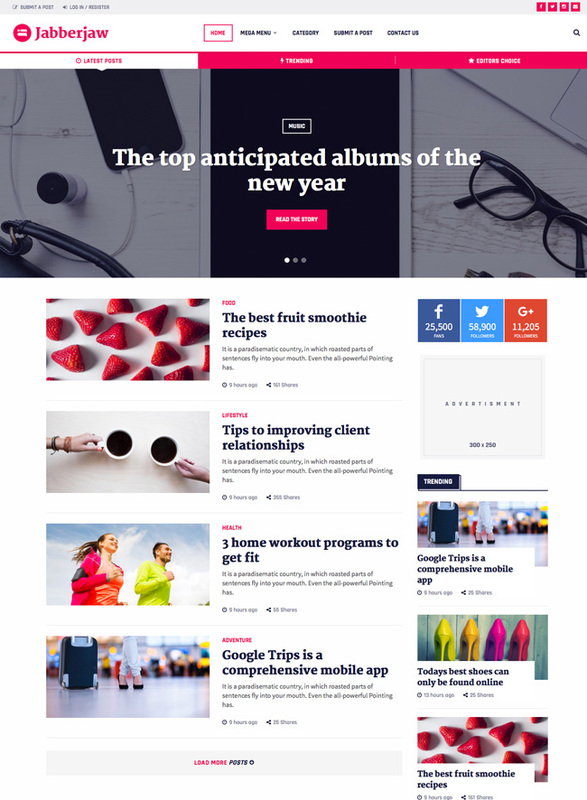 You don’t miss BoomBox and List Mag WP themes.